Extreme Pita offers healthy and nutritious camp lunches delivered to your campers daily. A taste kids love at a an affordable price for your camp. 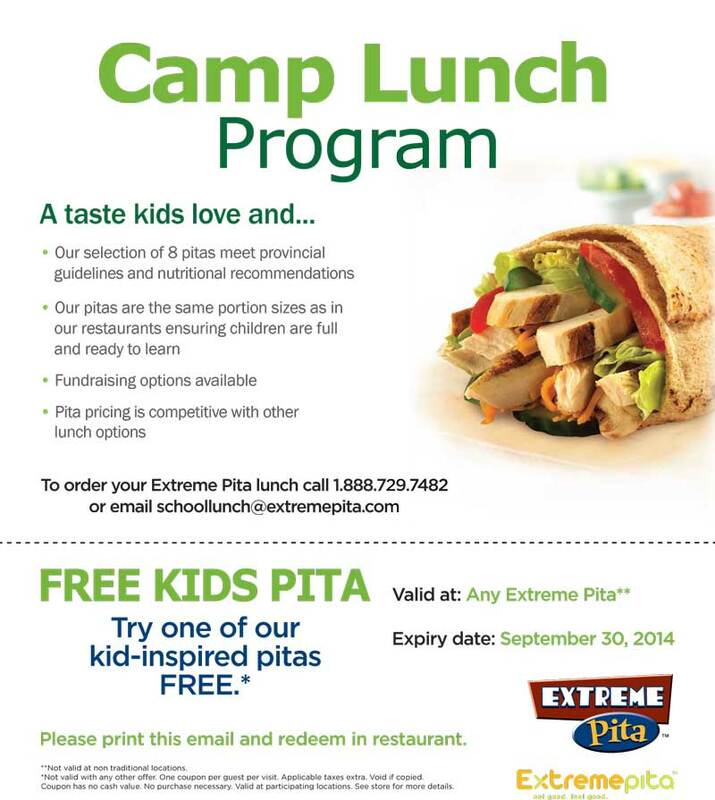 Learn more about the Camp and School Pita Lunch program here. To order your Extreme Pita lunch call 1.888.729.7482 or email [email protected] today. Print the below coupon and try one on us!